Posted on April 15, 2014 by revivewa	in Opinion, Reviews. 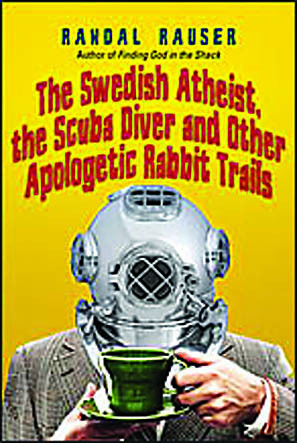 Readers are invited to join this author in an imaginary conversation over coffee with an atheist named Sheridan. In real life the author is a professor of theology teaching in the area of apologetics. Apologetics is a branch of theology that defends Christian beliefs and critiques opposing belief systems. It tends to cast those who do not agree as opponents. Randal wants to move away from scoring points or winning arguments over opponents, to talking about ideas in a non-threatening way. He develops an understanding of apologetics as “the rigorous pursuit of truth in conversation.” His desire to model pursuit of truth, that is not inhibited by an “I am right and you are wrong” attitude, led to the writing of this book. As the book is an imagined conversation, and not a carefully argued treatise, it is highly discursive and has many twists and turns. The parties show respect for one another and recognise the importance, in any area of belief, of asking questions and being ready to examine ideas different from one’s own. But not all readers are likely to have the patience to follow the somewhat aimless inter-weaving of ideas.